Author Archives: Mike Thompson, Jr. I wanted to provide an update on yesterday’s School Board’s FY2018 Budget Vote regarding the proposed $100 athletic fee. Last night, the School Board passed a $50 “extracurricular activities fee” versus the proposed $100 athletics fee. This $50 activities fee is modeled on a similar annual, one-time fee used in Montgomery County. It is not a per sport/per activity fee. For example, if a student plays on 3 sports, belongs to an honor society, and is the member of 2 clubs, the student only pays FCPS a total of $50 for the year (not $300, which would be $50 for each of the six extracurricular activities). I’ve previously posted about the Athletic Council’s opposition to the fee. Now High School Athletic Booster clubs from around the county are voicing their opposition. Many of them have sent letters to the school board. As I get copies, I will post them here. I had never heard of Team Impact until the summer of 2016. It was then that I learned my daughter’s new lacrosse team had a young girl named Allie on it. 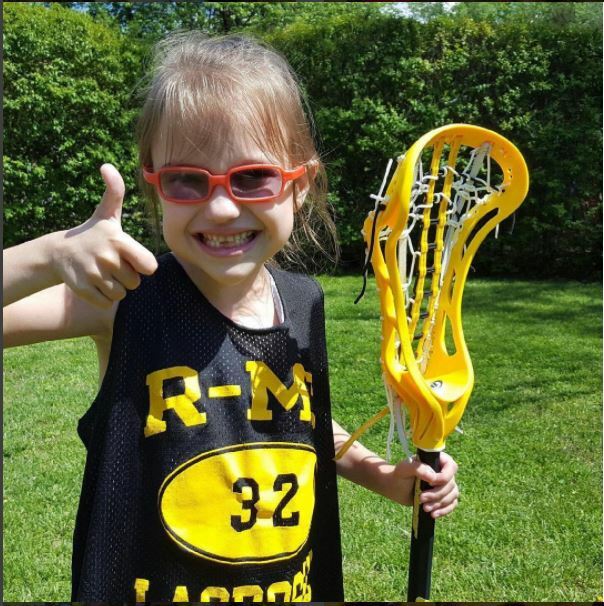 Allie is a young girl with severe medical issues who was “recruited” to be a member of the Randolph-Macon Women’s Lacrosse team through Team Impact. Team Impact “improves the quality of life for children facing life-threatening and chronic illnesses through the power of team.” To do this, Team Impact matches children and college teams. The child is “recruited” to join the college team. They go through a signing day and become part of the team. Over the last year, I have watched this young, courageous child join her team at home games. I have watched her cheer and bring true joy to the hearts of everyone one of her teammates. And please don’t misunderstand me. She is their teammate. They spend time together on and off the field. 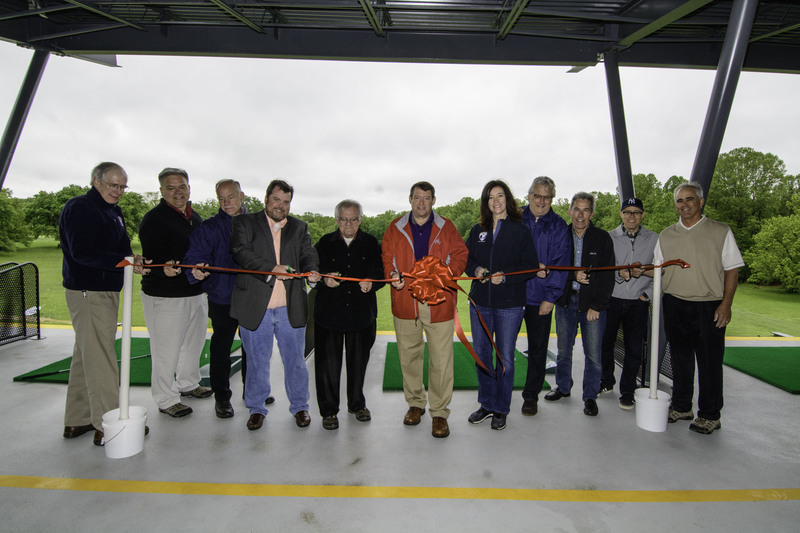 This morning I was honored to MC and speak at the ribbon cutting of the dramatically upgraded driving range at Burke Lake. I was joined by Supervisor Pat Herrity, fellow Park Authority board members Mary Cortina (at-large) and Tim Hackman (Dranesville), Planning Commission Chairman Pete Murphy, and Park Authority Director Kirk Kincannon. 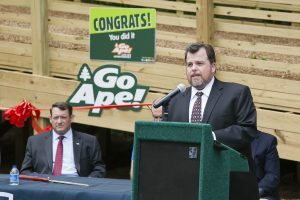 Several park staff were there including Andy Miller, Eric Inman, Manager of Golf Enterprises Todd Johnson and former Manager of Golf Enterprises Peter Fury. 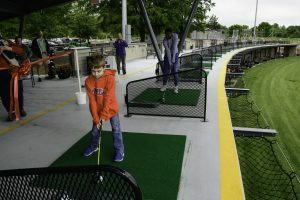 The new facility provides year-round opportunities for golfers. Golfers can now enjoy a 64-station lighted driving range with 24 covered and heated stations. The new amenities will accommodate practice and classes year-round at Burke Lake Gold Academy. A rentable area with indoor seating is available for private functions and parties. 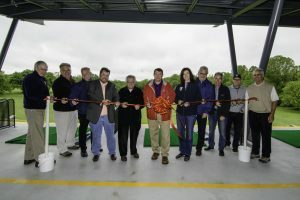 The Burke Lake Golf Center was originally opened in 1970. It was a great place. The old driving range was great. 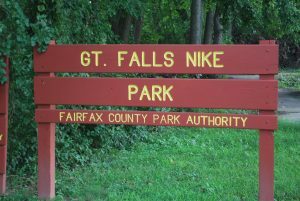 It is where I learned to hit a golf ball and took lessons through the Fairfax County Park Authority. But it was showing its age and that was impacting both the community’s enjoyment of the facility and its economic performance. 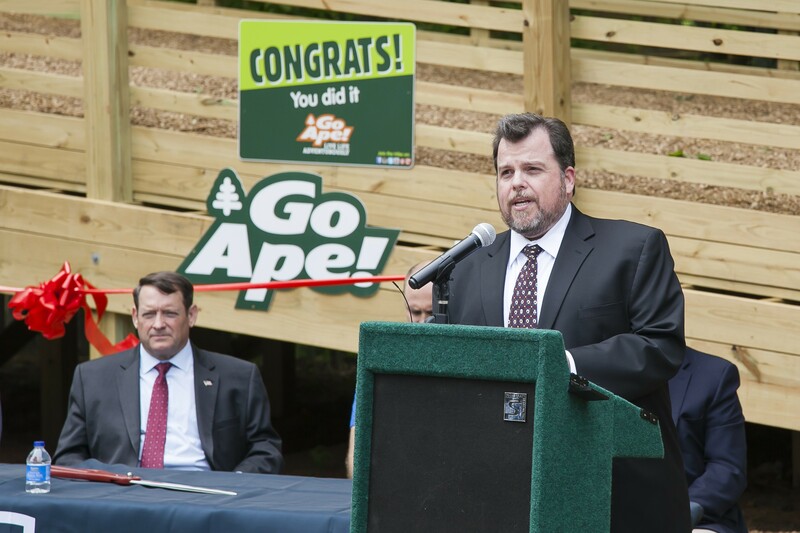 It’s time to Go Ape! 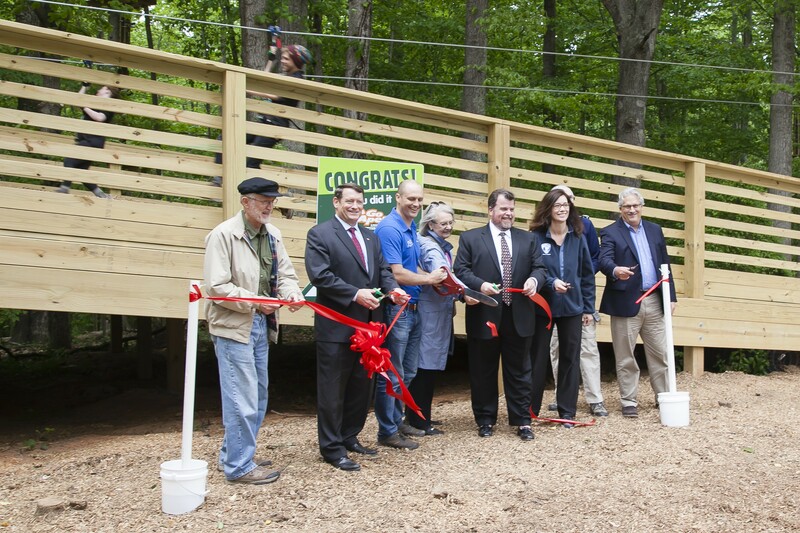 The Fairfax County Park Authority just welcomed one of the coolest new attractions to Fairfax County. Go Ape! 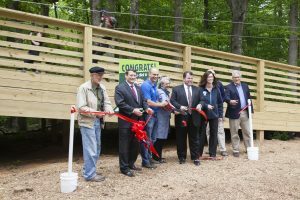 is a brand new, and first of its kind in Fairfax County, woodland obstacle, and zip line course. Go Ape! invites you to “Live Life Adventurously” – and they give you the chance to do just that. This is a place where you can challenge yourself to do something new or spend an incredible day with your family, friends, or co-workers. Several years ago, the possibility of bringing this to Fairfax County came to the Park Authority. While the first thought was to put it in a different park, South Run soon emerged as the best fit. South Run is one of the epicenters of active recreation in the county. 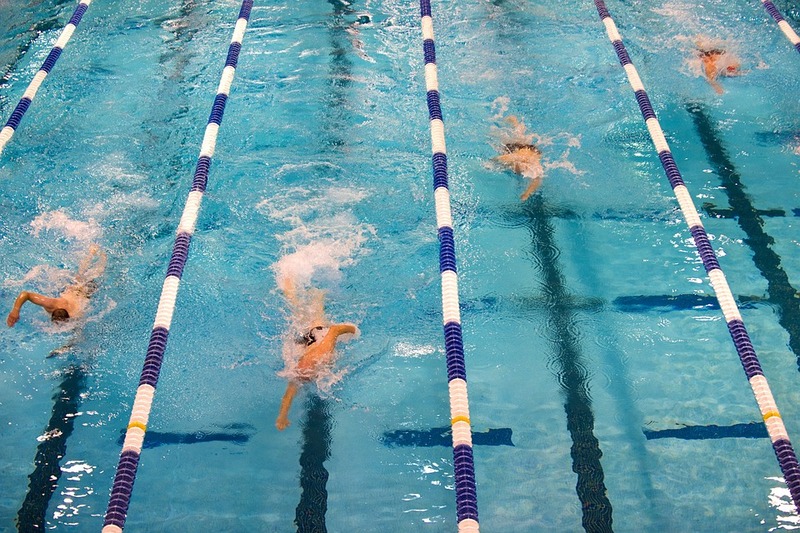 The ReCenter has a pool and provides the opportunity for people to work out, take classes or sign up for summer camps. There are also three full size and two small sided rectangular fields and two diamonds. There’s an awesome playground, an indoor turf field, tennis courts, and miles of trails. The Fairfax County School Board has proposed a new $150 per season (max two seasons) fee on high school athletes. The fee would generate $3.8 million. The fee would be waived for students receiving free and reduced lunch support. The Athletic Council opposes this fee and has sent a letter to the School Board outlining its concerns. However, there is consensus that sport can facilitate the development of psychological well-being (17). 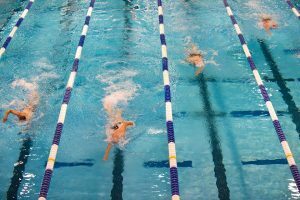 A recent systematic review found that participation in organized sport during childhood and adolescence is associated with higher levels of self-esteem, greater social skills, and fewer depressive symptoms (14). In addition, sport participation is associated with psychological health in childhood (5), and children who drop out of organized sport show fewer psychological strengths and greater psychological difficulties than those who maintain sport involvement (35). Moreover, noninvolvement in sport puts children at a 10%–20% increased risk of mental health problems (35). Importantly, the findings of both a systematic review by Eime et al. (14) and the original findings of Vella et al. (35) suggest that the psychosocial benefits of organized sport are independent of those that can be attributed to general physical activity. I remember coaching a U12 travel soccer team in an August tournament when one of the players started running funny. She took a few strange steps and then ran back and picked something up. Then she came running over to me to show me that the entire cleat portion of her shoe has simply detached itself. The glue had literally melted and the shoe fell apart. That is how hot that turf field got on that sunny August day. Heat on turf fields is a persistent issue. Professional players, college players, high school players, youth players – all know how tough it can be to spend a hot, sunny June afternoon playing on turf. But now there may be an affordable solution. Field Turf’s CoolPlay is a new material which is literally put on top of the field’s infill. The material acts as a top dressing and significantly reduces the temperature of the field by up to 35 degrees. and the additional cost is only about $35,000. 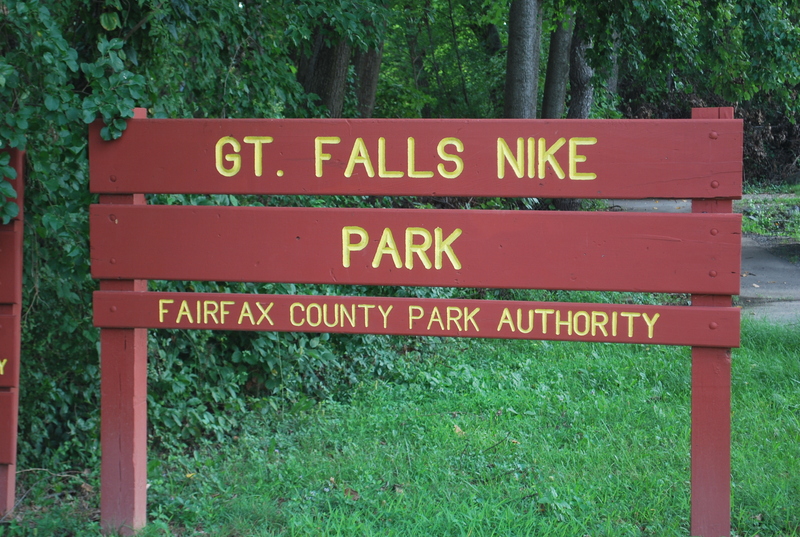 And the first of these fields to be built in Fairfax County will be at Great Falls Nike Park. Working in partnership with Great Falls Soccer Club, field 7 will be converted to this new Field Turf Cool Play system. Great Falls will contribute $855.000 of the projects $1,250,000 total cost. The rest of the funds will come from a combination of County and Park Authority sources. I saw an interesting post from the NCAA in my Facebook newsfeed this evening. This jumped out at me. Two-a-days are one of those traditions that has always seemed baked into football culture. That’s what August is all about. The pros do it. Colleges do it. High schools do it. Doing otherwise would be crazy! Or would it? Science is changing the sport of football. It’s actually changing all sports. We’re learning more about the way heat impact athletes of all ages. We’re learning more and more about concussions. We’re learning a lot more about overuse injuries. 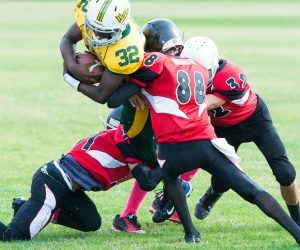 We need to weigh what science is teaching us with all the promise and benefits of sports (at all ages). We need to continue to make sports safer for every athlete while doing everything we can to preserve the integrity of the game.